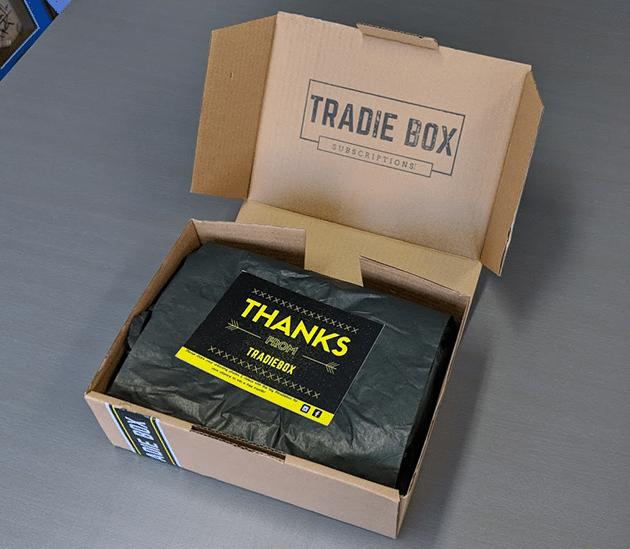 Last week we received a cool looking package from Tradie Box. The team reached out to us a little while back, and although we’re not tradies, we look after thousands of them and were keen to check it out. The first thing that struck me was the quality of the packaging. It’s super sharp and shows that a lot of care and effort has been put into it. But it’s what’s inside that matters, and what you’ll find after opening your Tradie Box is a bunch of handy goodies. Each month the box will contain a different selection of items, and this one pictured is the July box. The contents could be best described as the types of things you should be buying, but don’t because they’re not always ‘top of mind’ types of things. The July box for example contains a lip balm and some hand cream. It’s the type of stuff every tradie should be using, but probably doesn’t. There’s also a pair of good quality Bonds socks (when don’t you need new socks!) and some safety glasses from ProChoice to replace the scratched ones in your tool box. 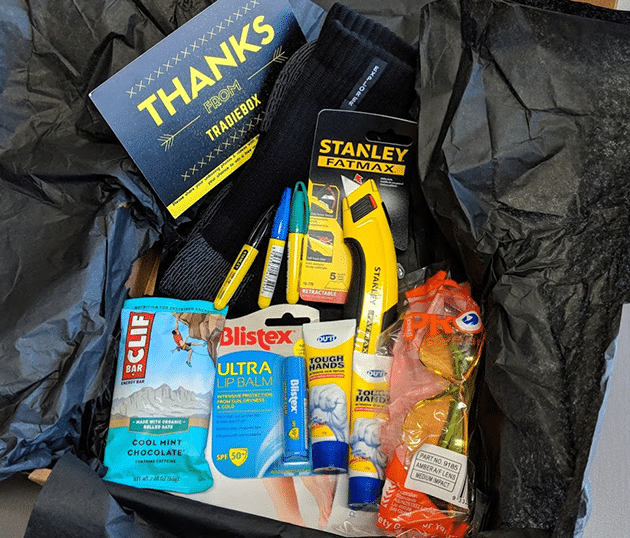 Stanley have thrown in a new FatMax knife and a couple of markers, and there’s an energy bar in there for when you need a little boost and smoko is too far away! 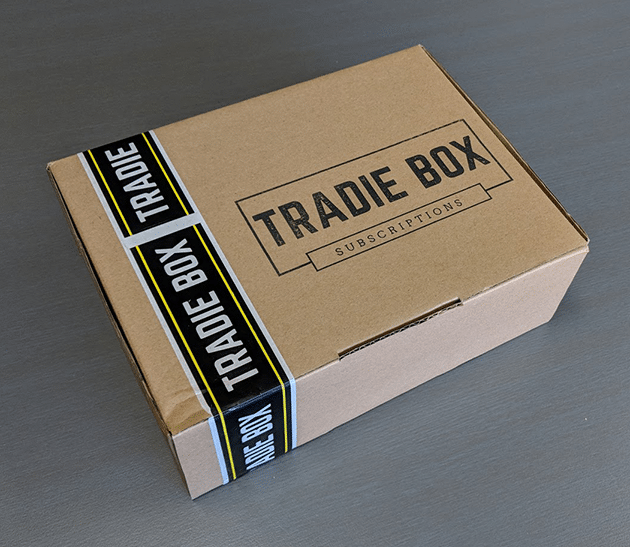 The boxes are customised to your trade, so instead of the Stanley Knife, some tradies will have scored a Stanley chisel or level in their pack for July. It’d be difficult to find anything in the box that a typical tradie wouldn’t need at some point in time, so even as non-tradies we can definitely see this being of value. 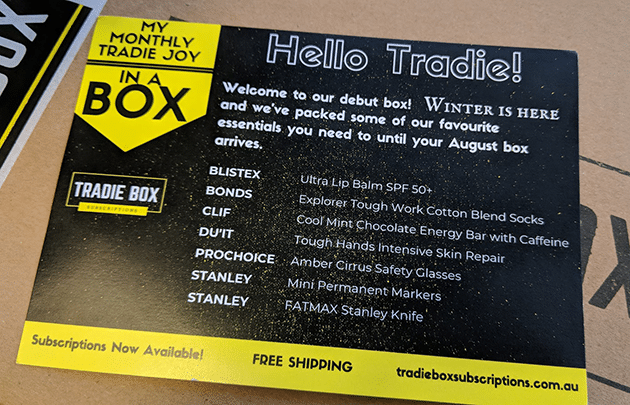 It all works on a subscription basis, so you pay your monthly subscription, and each month a new Tradie Box will turn up with a new bunch of goodies. The cost is $59 per month including shipping, or you can pre-pay for three months and score a lower rate. Anyone reading this can score an extra $10 discount if you order by this Friday, 3rd August 2018. Just use the discount code TRADERISK when ordering. For more information please visit the Tradie Box website.